else that might interfere with other audio systems. sliding (for frequency and pulse). a file that is not a sound the directory listing screen will refresh. then a new sound name. for the sound. Use up/down to navigate and Return to edit a sound. event duration that can be edited. the code that plays sound effects. sound is playing will be reflected even if the sound has already started. Space: Play a sound, end loop if sound is already playing. really an expert in audio tools) about making a new sound tool. sound as if the blades are slowing down or speeding up. 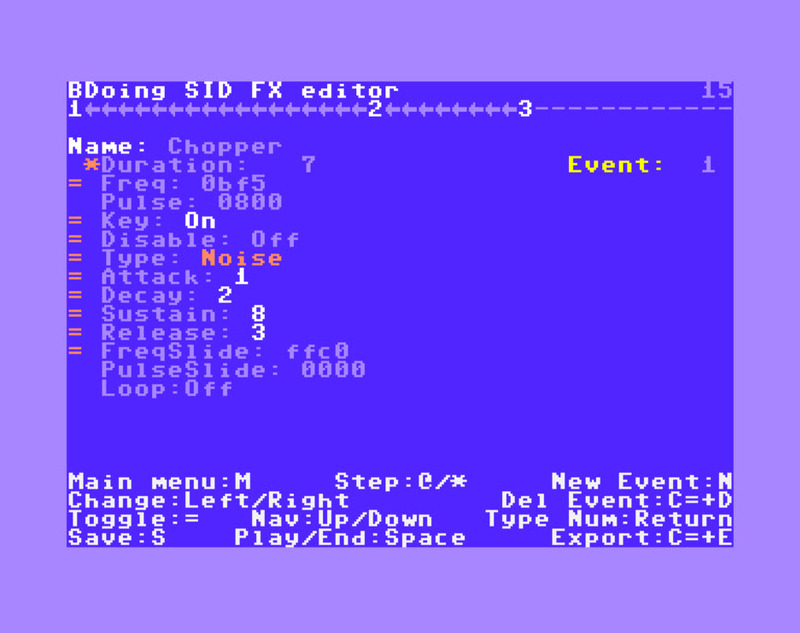 the other version in an emulator. down. This was named a BDoing platform. source files into another folder.